The Launch Place Seed Fund looks for investment opportunities in which our capital can serve as a critical catalyst to specific milestone achievements, whether it is follow-on capital, first customer(s), or another significant breakthrough in the company’s growth. Our Fund’s investment can be first money for companies seeking angel and other equity-based investors, and in some instances, our capital can act as an accelerator for companies needing more limited capital to launch. We have the flexibility to structure deals as debt, convertible debt or equity. The typical range of investments made in the portfolio companies ranges from $100,000 to $150,000, with the ability to fund up to $250,000 per company. Our objective is to provide portfolio companies with the capital, competencies and care they need to efficiently achieve success. Consequently, we combine our strategic investments with our business consulting, training and incentive programs so that management teams have the right tools at the right time in their company’s growth. In addition to seed fund investments, space subsidies are available. The Launch Place Seed Fund is a fully owned subsidiary of The Launch Place governed by its Board of Directors. All investments are evaluated by an independent Investment Committee. Learn more about the Application Process & Criteria by clicking here. Eva Doss has 17 years of experience in international business consulting, seed fund establishment, management training, strategic planning and business development in the United States and Europe. During her career, Eva developed new business opportunities for companies worldwide, established branches of US, and European based companies and was known for successfully negotiating international contracts at the executive level. Eva has also worked with Booz Allen, RTI International, and the U.S. Agency for International Development in Washington, D.C., and other top-ranking international consulting firms where she designed, budgeted, implemented and evaluated domestic and international managerial training programs and business consulting projects in business development, capital investments, organizational management and financial forecasting. 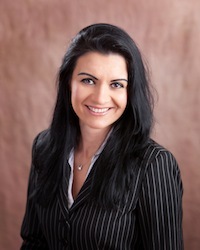 Eva holds a post-graduate Executive Certificate in Management and Leadership from Massachusetts Institute of Technology Sloan School of Management, has a MBA and BS in business administration; she is a Steven Covey certified trainer and has several management training and business consulting certifications and speaks several languages.